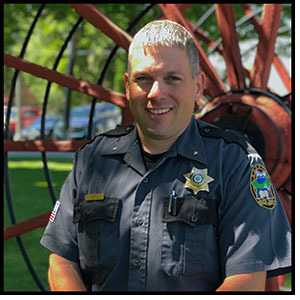 Our Mission is to serve the public by consistently earning their trust in law enforcement, crime prevention, corrections, dispatch and emergency services. We achieve this mission through employing highly motivated, professionally trained team members who are committed to steadily increasing public involvement and education, interagency cooperation and the efficient utilization of resources. 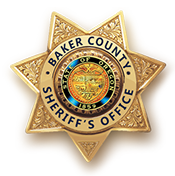 The Baker County Sheriff's Office is committed to providing high quality and cost effective public safety services to Baker County. It is our job to maintain the peace of the county with courage, fairness, honesty, and integrity and we strive to do so in the most professional and respectful way possible. Our operations include a wide variety of public safety responsibilities including: law enforcement, dispatch, maintaining and operating the jail, delivery of civil papers, execution of court orders, providing safety and security to the county courthouse, organizing search and rescue operations and preparing for and coordinating responses to many public safety emergencies in our county. As Baker County Sheriff, I believe in building relationships with our citizens and fellow public safety providers to maximize resources, maintain peace and safety, and keep our community an ideal place to live, work, and recreate. I am proud of the Deputies and Volunteers that make up the Baker County Sheriff's Office. They are a dedicated team that is always ready to serve our community.